Bay of Plenty the fastest growing region - and career boosts are attracting civil engineers. With major projects spanning commercial, retail, urban and greenfield development sectors coupled with the enviable lifestyle on offer in the country's fastest growing region, Tauranga is proving to be the "golden apple" for civil engineers. With such fast-paced growth comes ample opportunity for those seeking to make the move to cash in on the excitement of working on projects of mighty scale along with an enviable lifestyle on their doorstep. So just how big is this Bay of Plenty economic boom? In March alone, building consents in Tauranga topped the $68 million mark – the highest value for a single month. Consents covered work on a range of major developments including the $130m Farmers city centre development, roading and warehousing and fit-outs for the newly opened $150m Tauranga Crossing Mall. Economic development agency Priority One's chief executive Nigel Tutt says reports show Tauranga's business and employment growth are the highest in the country at 5.3 per cent and 4.6 per cent respectively. "We are also seeing strong business confidence reflected in employment growth in our existing businesses particularly in the professional services, construction, manufacturing and retail sectors." The ripple effect of such growth means growing pressure on the professional services sector. 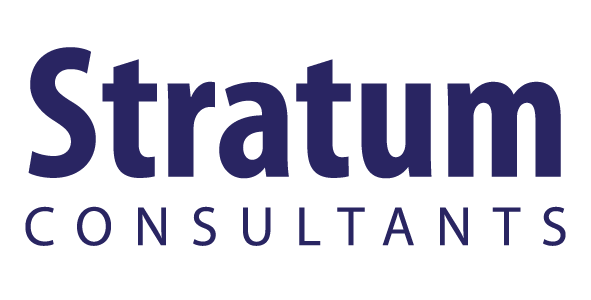 Take Stratum Consultants for example, one of New Zealand's most respected engineering, planning and surveying firms. The team has doubled to 45 across their Tauranga, Rotorua and Te Puke offices in just four years and Director Andrew Robinson says they're on the hunt for more civil engineers, urban designers, structural engineers and surveyors to continue that growth: "We need 3 more civil engineers right now. We could take them on tomorrow and hand them a pile of diverse projects at the heart of the construction boom that's transforming our region. It's a really exciting place to be an engineer right now." Robinson says the Stratum Consultants' environment is vibrant and diverse: "We have an interdisciplinary approach to the way we work. It means our civil engineers get exposure to a range of disciplines and the opportunity to develop their own workloads and client base with really strong mentoring across the team." The Bay of Plenty is the fourth-busiest region in the country in terms of jobs on offer, according to employment website yudu.co.nz, behind only Auckland, Waikato and Canterbury. Priority One receive about 35 enquiries a month from professionals wanting to relocate to the Bay of Plenty. With Mount Maunganui just voted New Zealand's best beach, investor confidence in the region at an all-time high and opportunities aplenty for the ultimate career/lifestyle choices, it makes Tauranga an enviable option for smart professionals seeking career advancement.